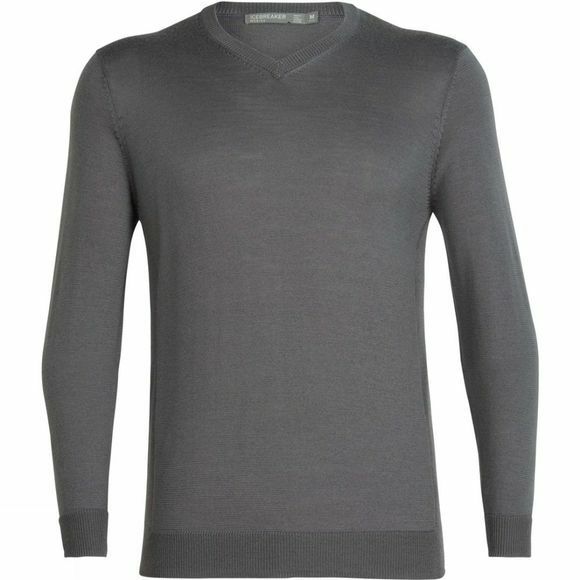 The Men's Quailburn V Sweater from Icebreaker is a versatile summer-weight sweater when you need to shrug off the cold in style. The sweater is lightweight yet warm and cozy – perfect for pulling on around the campfire when the evening turns cool, or for breezy days on the boat. Made from Cool-Lite yarn, it’s a blend of super-soft merino wool with natural TENCEL to keep you comfortable in cool to warm weather. It offers a great fit, with a soft, V-neck, and ribbed sleeve cuffs and bottom hem. Not only easy to wear but easy to care for – this knit sweater is machine washable.